A comprehensive fleet of all-electric Volkswagen models are just around the corner, but it seems the brand’s customers have already embraced electrification. 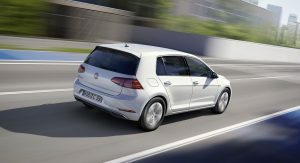 According to VW chairman Herbert Diess, demand for the Volkswagen e-Golf has been so strong last year that the model is almost sold out. 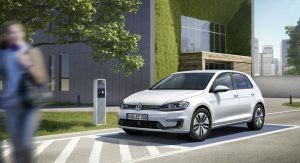 “Our electric vehicle sales were three times more popular in 2017 than 2016 and the e-Golf nearly sold out, so it’s clear customers are willing to switch to EVs once the price is right,” Diess recently stated at VW’s annual media conference. 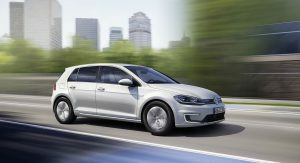 Remarkably, according to data by Clean Tecnica, the e-Golf was the best selling battery-electric vehicle in Western Europe in January, shifting a total of 1985 units. In comparison, 1871 examples of the Renault Zoe were sold and 1867 BMW i3s found new homes across the region. 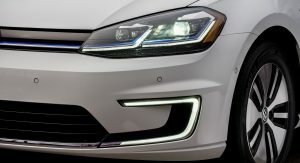 This is particularly surprising, because the e-Golf is simply a modified Golf with a battery pack and electric motors, while its major rivals are standalone BEVs. 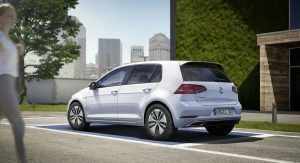 While the e-Golf is selling well, it won’t be long before VW launches its EV initiative with the I.D. 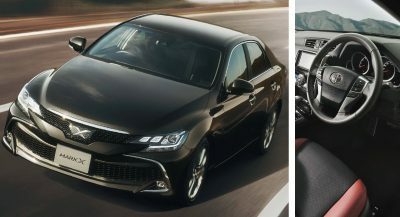 hatchback that’s set to arrive in 2020. Additional I.D. models are coming our way as recent trademark applications indicate. In 2022, the automaker will roll out the I.D. Crozz SUV, which will bring the number of VW’s EVs to 16. 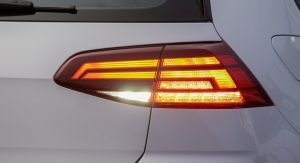 Moreover, Diess said that an astounding 300 electrified VW models will be available by 2030, many of them being new additions to existing or upcoming models’ range. Should prove well for their I.D hatchback. Of course it is…the EU has imposed a 40% reduction in front end car emissions by 2021. This is not an organic choice by people. It is forced legislation created by fools and lunatics upon the compliant sheep. Previous PostPrevious Citroen C3 Aircross: More Than Just An Eccentric-Looking Subcompact SUV?